The Notice of Default and Intent to Accelerate Notice or Letter is the first step in the foreclosure process. What is happening when you recieve a Notice of Default and Intent to Accelerate Notice Letter? What this means, in a nutshell, is your home lender has begun the first step in foreclosing on your home. In most states, they are required to give notice within a certain period of time before they can begin the process of taking back your home. Do not ignore this letter. Legal proceedings are underway. This is not a normal bill stating you are "past-due". What can you do to stop this proceedure? Well, one thing you should do is know your rights and become informed. Don't ignore this letter and don't ignore researching your rights. 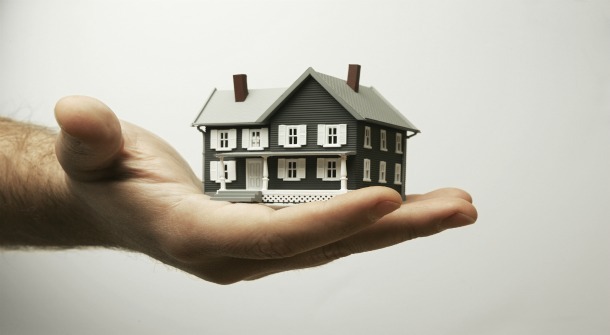 Legally, you have the right to reinstate your loan and bring it current before the foreclosure can be started. The amount that you fully owe if you don't bring the loan up to date which is the full balance of the loan - the term used for this is "accelerate"
You are in default. You have a certain number of days, legally, to fix the problem. If the default isn't fixed within or by the deadline, the next step will be a Notice of Sale and Acceleration of Loan. What if you don't have the money needed to cure this debt? There are some ways you can "delay" this process. When you file either a Chapter 13 or Chapter 7 bankruptcy, the court automatically issues an order (called the order for relief) that includes something called "automatic stay." The automatic stay directs your creditors to cease their collection activities immediately, no excuses. If your home is scheduled for a foreclosure sale, the sale will be legally postponed while the bankruptcy is pending....typically for three to four months. There are some exceptions to the automatic stay, so it's important to learn about these before you file. And creditors can ask the bankruptcy court to lift (remove) the stay. In certain circumstances, the court is likely to do so. It would not hurt you to contact a bankruptcy attorney and get their advice. Most offer a free consultation so you will know before you even begin the process if this is the right step for you. 2) Apply for a loan modification. Contact your lender and ask them to send you a mortgage modification package. You will be asked for a set of documents that also may include a hardship letter or affavit to explain why you are unable to pay the current mortgage amount. Here are some guildines on how to get your loan modified. The lender may agree to stop the foreclosure if you list the property and attempt to sell it yourself. If you receive an offer you submit it to the lender in exchange for a release for the mortgage obligation. You need to pay attention because you want to cover as much as you can in the sales price. If not....there can be some serious tax obligations in store for you. What if you don't understand any of this? If you don't understand, ask for help, either from an attorney or a free HUD-certified housing counselor (to find a HUD-certified housing counselor, call 888-995-HOPE or visit www.995hope.org). Struggling with debt? Get a free debt analysis!